Daniel M. Epstein, M.D. joined Slappey & Sadd, LLC in 2010. 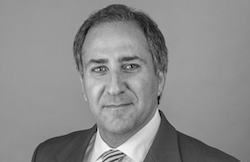 Prior to joining Slappey & Sadd, Dan represented physician and hospital clients. He most recently held a position of a partner with a medical malpractice defense firm from 2001 to 2010. At Slappey & Sadd, he represents individuals and their families in cases of serious death as a result of medical negligence, car accidents, defective products, defective premises, and other acts of negligence. Dan is a native of Atlanta. He obtained his medical degree from the University of Tennessee College of Medicine, followed by a law degree from Harvard Law School. He completed a transitional medical internship at Emory University School of Medicine in 1994. Dan was admitted to the Georgia Bar in 1990.